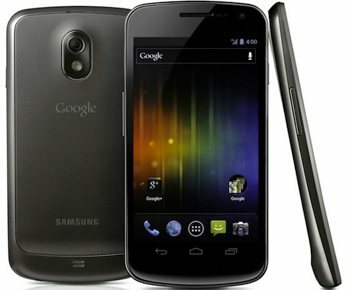 Google has launched a contest on Twitter to give away 10 Galaxy Nexus smartphones in 10 days to promote the phone’s pending release. The promotion started on Saturday and will run until Monday, November 21. To enter, you must first have a Twitter account and follow @googlenexus. Each day Google will post an essay question or puzzle for hopefuls to answer. To submit a solution, reply to Google's tweet and include the #googlenexus hashtag. To give you an idea of what to expect, the first challenge presented contestants with an image and asked them to decipher a code to finish the following sentence: “#GalaxyNexus is well-traveled, coming to @googlenexus from [answer].” The answer was “The Sandwich Islands”, although I have no clue how to arrive at that answer based on the hint. Any ideas? Challenge two required users to make something geeky and edible. Photo and video submissions were accepted for this challenge and entries were evaluated based on creativity, originality and use of humor. The third challenge is set to kick off today at 3pm PST. A complete list of rules can be found here. Samsung and Google announced the Galaxy Nexus at a press event in Honk Kong on October 18. The handset features a curved 4.65-inch HD Super AMOLED display running at 1270 x 720 resolution, a 1.2GHz dual core processor, 1GB of RAM, your choice of 16GB or 32GB of internal storage, a 5MP rear camera with zero shutter lag, backlit-illuminated sensor, built-in stabilization and LED flash and a 1.3MP front-facing camera for video chat. Aside from its impressive hardware specifications, the device is the first to ship with Android 4.0 Ice Cream Sandwich, Google’s latest mobile operating system. The phone will be sold exclusively by Verizon Wireless in the US although an exact launch date hasn’t been announced.